Bathtub, tile, and countertop refinishing businesses can be a lucrative way to earn a living and work for yourself. The startup costs are very low compared to traditional business models and you can often recoup initial costs very quickly. Whether you’ve just started your refinishing business or you’ve been refinishing for years, it’s important to save time and money any way that makes sense. One of the best ways to save a significant amount of money for your refinishing business is to order products in bundles and kits. Similar to purchasing products in bulk, our refinishing kits offer all of the products and supplies you need for the job. If you are launching your new refinishing business or you’re new to Topkote, we offer a huge, one time startup kit for bathtub and tile projects. The Bathtub and Tile Refinishing Startup Kit includes cleaner, UR Glaze, UR activator, UR Reducer, and Crosslink II Adhesive. All of these supplies are enough to finish up to 12 bathtubs and get your business off the ground. 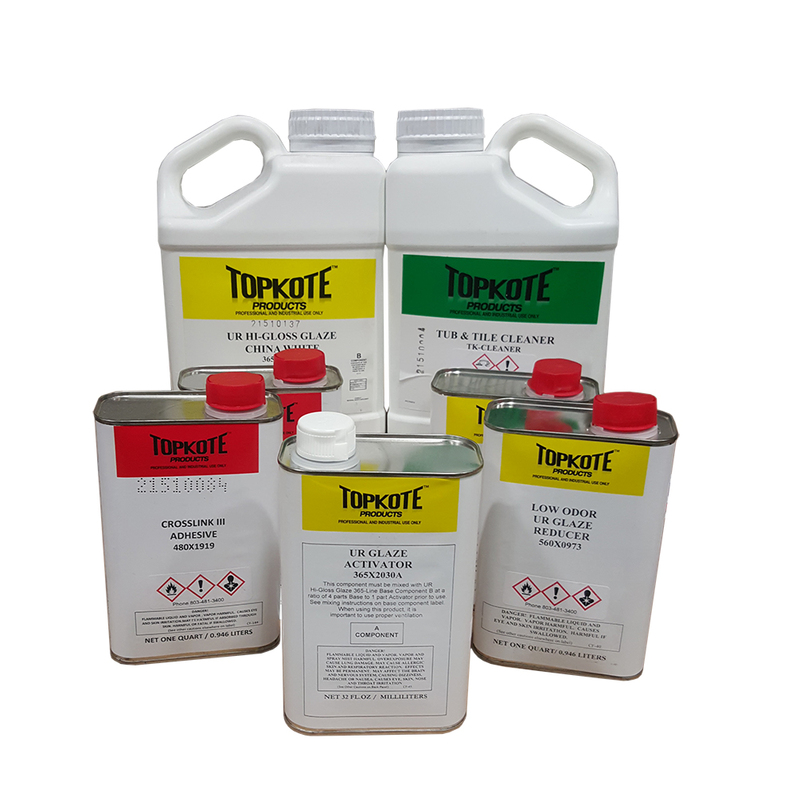 Whether you’re a seasoned refinisher with a successful business or you’re just starting out, Topkote offers refinishing kits to fit your business needs. Our goal is to provide you with the best products on the market at the lowest price possible, putting more money back in your pocket.